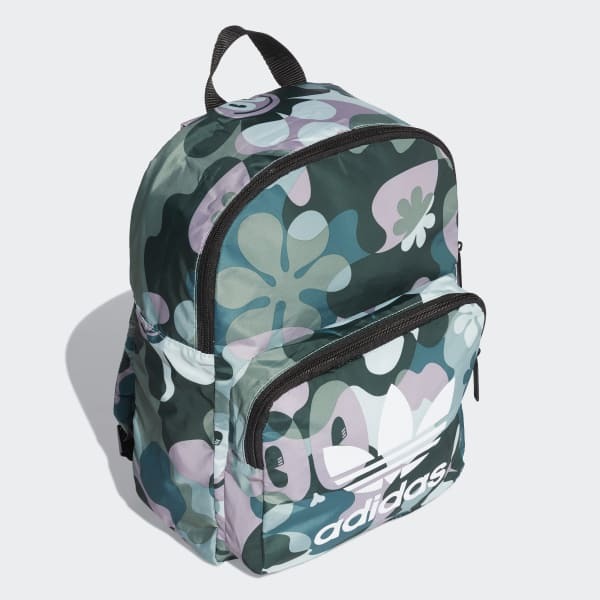 This colourful backpack puts a creative spin on camouflage. A riot of colour and pattern, this backpack shows off original graphics from London illustrator Hattie Stewart. The design remakes a daily basic in a fresh, fun new way. A large Trefoil logo adds the finishing adidas touch.